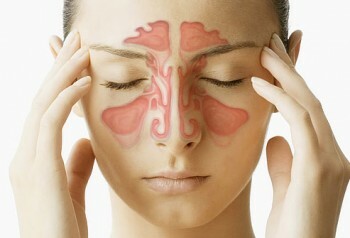 Sinusitis affects many people in Ireland, an estimated one out of eight people. This condition can be quite debilitating as it often occurs with a headache, and a very congested feeling in the head area. Nasal sprays can only offer so much in the way of relief, and rarely provide long-term results. “I have attended Christina for the last year and a half and couldn’t recommend her highly enough. I suffered really badly from sinusitis and migraines and had tried steroid sprays and antibiotics for a long period of time to no avail. I completed a 10 week course of acupuncture for sinusitis initially. I felt huge relief after the 3rd week and by week 10 my symptoms had dramatically improved. I now attend for monthly top ups, migraines have completely subsided and I really feel the benefit in my overall health and well being thanks to Christina.” – Elaine, Tralee. 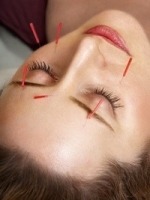 Acupuncture is proven to be very effective in the treatment of Sinusitis. When visiting an Acupuncturist, a detailed case history will be taken, of your health and condition. This will guide the Acupuncturist as to how best treat your condition. In Traditional Chinese Medicine, there are a number of different imbalances in the body. that can result in Sinusitis. Your Acupuncturist will treat these imbalances and root causes of your Sinusitis as well as the Sinusitis itself. How does Acupuncture Treat Sinusitis? In Traditional Chinese Medicine (TCM) , a build-up of Damp or Damp-Heat is often the cause of Sinusitis. This build up of Damp is often due to a weakness in the Spleen and Stomach organs. The Spleen in TCM, is responsible for transforming the water and food we consume into energy and waste products. However, if the spleen is impaired, water will instead turn into phlegm and dampness. Acupuncture can strengthen the Spleen and its function, resolving the creation of damp in the body, and easing Sinusitis. Food is an important factor when treating Sinusitis. Certain foods create phlegm and heat in the body, and should be avoided such as : fried foods, sweet foods, dairy, and spicy foods. Other foods such as celery, cucumber, onion, garlic, grapefruit and pineapple help to clear phlegm from the body and should be included in your diet. Complying with these dietary guidelines will speed up the rate of your recovery. Gargling your mouth and throat with Salt Water. Breathing in steam from a bowl of boiling water. Burning Eucalyptus oil and placing a few drops on your pillow at night time. 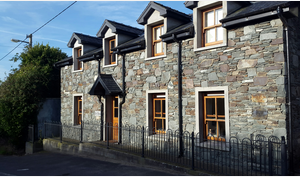 Phone Christina on (086) 8619246 for a Free Consultation. Sign me up for free health tips!